You have to hand it to Ford, it really is getting maximum exposure from every element of the new GT supercar. From various motor show appearances to the endurance racing programme, you’d have to be living under a rock on the moon not to know there’s a new GT40-esque car in town. If you’re lucky enough to have joined the waiting list for the 20 or so GTs likely to make it to the UK in 2017, you will be receiving an intriguing package in the post soon. This is the GT Order Kit that comes in a bespoke carbon fibre box and contains eight body colour samples, leather swatches and even tiny wheels so you can choose the right rim and brake caliper combination for your supercar. When you’re spending upwards of £300,000 [...] you should expect a level of service that goes above and beyond an online configurator. Of course, when you’re spending upwards of £300,000, you should expect a level of service that goes above and beyond an online configurator. This approach is not uncommon with cars at this price level, though Ford has elevated it to an art form with this kit, and it’s no surprise there are rumours of automobilia collectors paying thousands of dollars to just own the order kit. If you’re in the market for a Bentley, Ferrari, Rolls-Royce or another high-value machine, the chances are you can visit a showroom for a one-to-one session to run through all the options. You might even get a home visit if you’re deemed a sufficiently valued customer. But in the every day world, the whole process of choosing a car has become much more remote and removed from the physical interaction with a person and car. So, what has all this to do with you and I, the average person who picks a car, specs it online and trusts the Midnight Blue colour will arrive looking like the one on our computer screen? Well, as the connected world makes studying a brochure at a traditional dealerships increasingly unnecessary, the whole process of getting a new car has become much more remote and removed from the physical interaction with a person and car. You can now research your car, compare prices, make an enquiry and have a brand shiny new vehicle on your driveway the following week without ever seeing a person face-to-face. Of course this is a great thing; it cuts out the whole haggling bit, and allows you to research and order at your leisure. But is there is a danger we’re also losing something along the way? Aside from the fact that ordering a car is one of the biggest financial commitments you can make no matter how you’re paying for it, it’s also one of the most tactile. A car is a physical entity. A big collection of metal, plastic, fabric, leather and rubber. A great number of people are happy to watch YouTube video test drives, read reviews online and order on that basis, but many still like to check out the way the seat feels, how big the boot is and how those buttons are to press. Humans are sensual beings, we thrive on contact with people and objects. It’s how we suss out a lot of the world around us, even if it much of this is completed subconsciously. As an example, a friend was looking for a new small hatch. She tried various class leaders and dismissed them all as ‘not feeling right’ until she stepped into a one from a Korean brand. It clicked with her on some level the others had not and that was it, deal done. Why one car that has almost identical space, equipment and performance should stand out from the others mist seem a mystery. Yet a lot of this is down to that inexact science of what ‘feels’ right. We live in a world that puts personal choices and the individual very high up the pecking order, yet so much of the process of configuring a car is completed remotely. And this is where mainstream car makers may follow the example of Ford with its GT Order Kit. Rather than pushing everyone towards online configurators and virtual reality test drives, there are some choosers who still need to get a chance to see, feel and even smell what their next car will be like. That is playing to a much deeper human instinct. 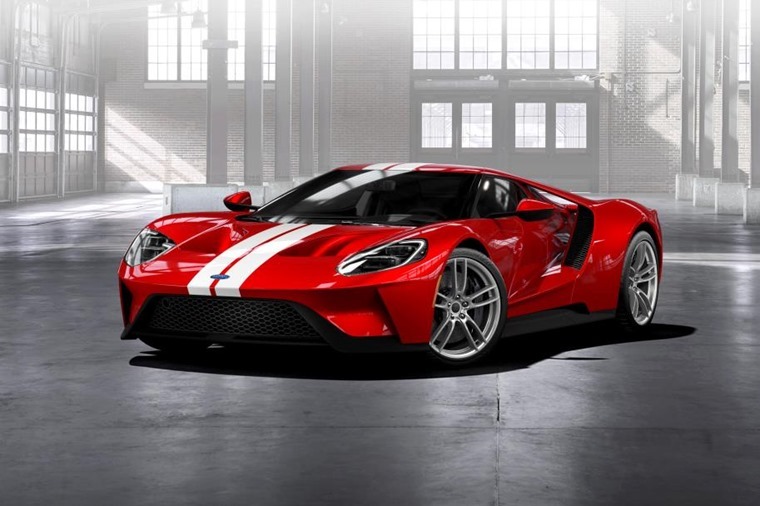 An insider at Ford told us recently the GT Order Pack has been a runaway success and there has been a much lower incidence of customers changing their mind late in the day when it comes to their choices. There’s also the complete set attitude that owners want the car and Order Kit to stay together as it further personalises the car to them. And this is the key to why car makers may get on board with this idea. We live in a world that puts personal choices and the individual very high up the pecking order, yet so much of the process of configuring a car is completed remotely. There is a key difference between being an individual and being solitary. Ford has recognised this and addressed it perfectly for its GT customers. Now, granted, sending out a carbon fibre-packed box of goodies to every Focus customer would be a rather excessive expense. 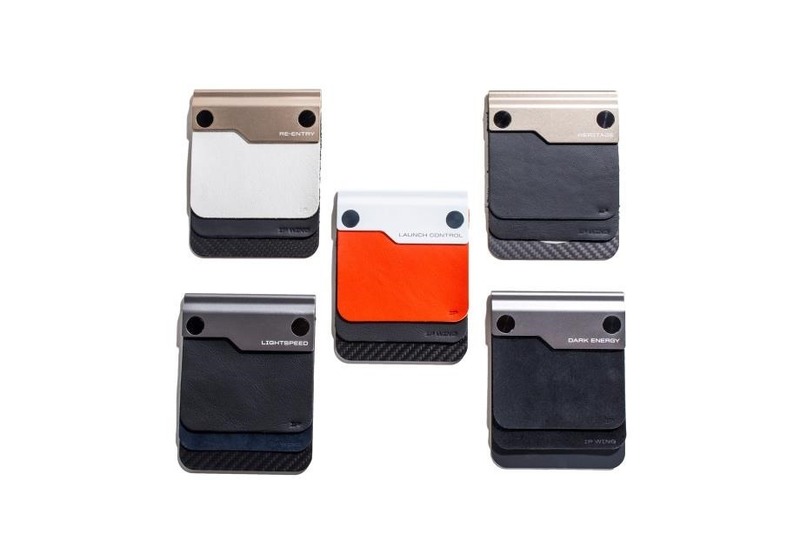 However, that doesn’t mean a much more affordable pack couldn’t be made available, even perhaps something along the lines of an Airfix kit to assemble your ideal specification. It would also work very well with the increasingly disruptive ways car makers are interacting with customers, such as with pop-up stores in shopping centres and extended test drives. The other advantage of this approach, as well as letting a prospective customer see what their car will look like, is to engender a sense of what you’ll be getting long before the car is parked on the driveway. 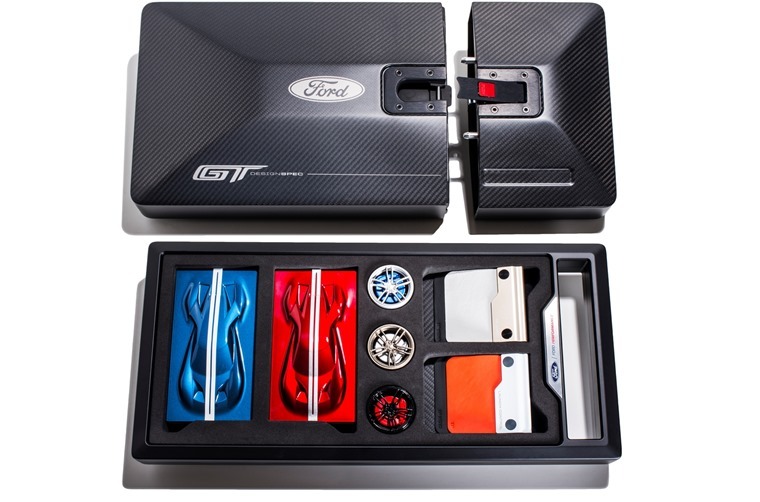 That is what Ford has tapped into so well with the GT Order Kit: it starts the expectation and feeds it all the way through to the day that supercar arrives. There’s no reason this method of speccing couldn’t be applied to all cars. It would also work very well with the increasingly disruptive ways car makers are interacting with customers, such as with pop-up stores in shopping centres and extended test drives. If you could walk off with a neatly packaged goody bag that would let you piece together your ideal car at home, wouldn’t you be more inclined to choose that car? An idea such as the Ford GT Order Kit is brilliant because it’s so simple. The online world is taking over, but many of us still love something we can touch and feel.